Why is the Mesquite Regional Landfill proposing to use trucks to bring in waste? The proposal to truck a portion of the waste to the Mesquite Regional Landfill (MRL) developed as a way to start landfill operations sooner and as a way to create more flexibility in the long -range development of MRL. An alternate means of transportation is needed because the rail infrastructure necessary to move the waste will not be completed until 2011/2012, however, the landfill will be ready for operations in 2009. Another reason that trucking is being proposed is to allow waste-by-rail transport operations to “ramp” up to a full or “unit” train. A full train will carry 4,000 tons of waste. Eventually, up to five unit trains will move the 20,000 tons of nonhazardous residential and commercial waste the MRL is permitted to receive. Of that total, 1,000 tons is reserved for Imperial County. The Sanitation District of Los Angeles County anticipates it will not likely need to move 4,000 tons of waste daily until after 2013, when its Puente Hills Landfill in Whittier closes. In the long term operation of the landfill, the Sanitation Districts anticipated the amount of waste will increase, or ramp up, gradually. That means after enough waste is generated to fill one train a day, there will be a need to use trucks to haul additional waste until the amount is sufficient to fill a second train. The trucking proposal is part of a proposal to modify the Conditional Use Permit for the MRL. The Sanitation Districts is working with communities that would be affected by the proposal to minimize the impacts on the Imperial Valley. Is trucking intended to replace the waste-by-rail concept? 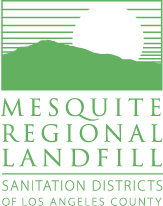 The Sanitation Districts are committed to the development of the Mesquite Regional Landfill as a waste via rail landfill. Trucking would allow the Sanitation Districts to move forward sooner on fulfilling commitments made when the MRL was permitted 10 years ago as a state-of-the-art facility that will provide jobs and economic opportunity for Imperial County. The Sanitation Districts are currently going through an environmental review process to develop a rail yard near Puente Hills, where it will load the containers for a unit train. The Sanitation Districts also are in the process of completing the design of an offloading rail yard at the Mesquite Regional Landfill. Construction of the MRL rail yard, with an estimated cost of $60 million, is expected to begin in 2009 and to be completed in 2011. How many trucks will it take to carry 4,000 tons of waste a day? It will take about 200 roundtrips a day to haul 4,000 tons of waste from Los Angeles County to the MRL and back. The 4,000 tons is the maximum sought in the proposed modified CUP because it is the amount needed to fill a unit-train. 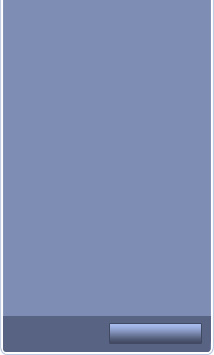 That amount of MSW is equal to 1/5th of the 20,000 tons/day the site is permitted to receive. The Sanitation Districts anticipate the amount hauled by truck would start small and ramp up. When the MRL is operational in 2009, the Sanitation Districts proposes trucking about 300 tons of waste a day, which would require 15 round trips a day. That amount would create jobs in Imperial County and get the landfill into operation. As the number of trucks ramps up, the Sanitation Districts proposes opening a hand-off truck yard north of Westmorland. That would shorten the trip for the long-haul truckers, ensuring they stay within their daily travel time limits. The hand-off yard also would provide a way to meter trucks to the MRL to reduce the impact of traffic on Imperial Valley roads and avoid heavy use periods in the San Dunes. The truck yard would require a separate permitting process and environmental review. Why is highway 86 listed as one of the truck route options when Brawley is already severely impacted by trucks traffic? 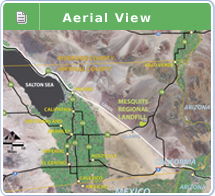 Highway 86 was listed in the Mesquite Regional Landfill proposed Conditional Use Permit modification only because it is the CalTrans designated truck route. The CEQA process requires all potential routes be identified. The Sanitation Districts does not favor using Highway 86 through Brawley. When the proposal was being developed, it was anticipated the Highway 86 Bypass would be opened before any waste would be hauled. Because of the delay in the Bypass construction, the Sanitation Districts included in its application a number of possible alternate routes, including Boarts Road to Kalin, to Rutherford to 115 to Highway 78 to the landfill. A number of other options to avoid impact to Westmorland, Brawley and the peak usage times at the San Dunes are identified for study. 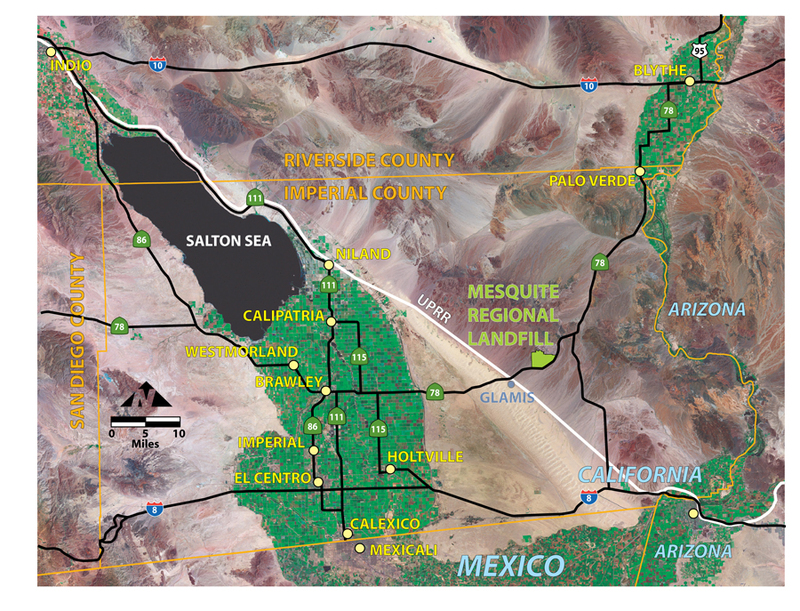 The MRL team is working with stakeholders to identify possible routes, schedules and alternatives that could minimize potential impacts from the trucking proposal on the cities, desert enthusiasts and others near the proposed truck routes. How can you truck waste through all the traffic in the Sand Dunes when the off-road community is an important revenue source for Imperial County? There may be times when trucking through the Sand Dunes is not possible. Developing a truck hand-off yard north of Westmorland will allow us to hold trucks during those hours. We have requested that the county reconsider existing restrictions in the existing CUP that prohibit the landfill from receiving any deliveries from noon Friday to noon Monday from October to May and instead identify specific times that would be acceptable and not impact the off-road community. We anticipate the CEQA process will include traffic studies that may further help in developing proposed schedules and mitigation measures.